I thought I did a good job in documenting my installation, including the customized thermostat and power wiring for the AC. 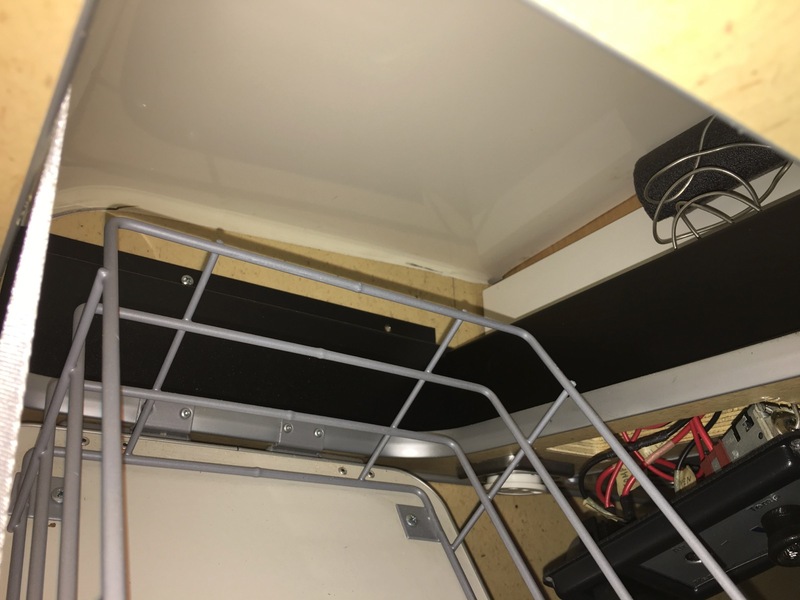 Without the documentation it would be very challenging to troubleshoot as quite a bit of the wiring are not readily accessible. 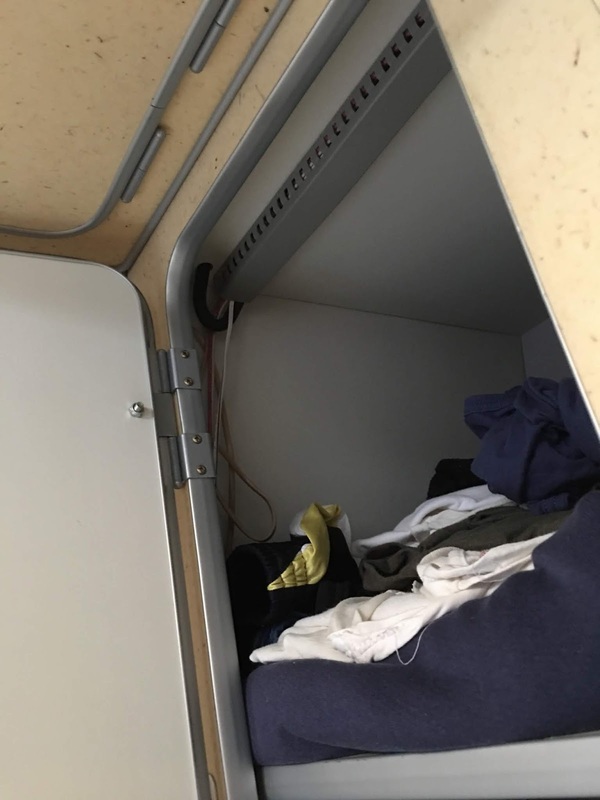 The thought of having to drop the overhead cabinet to dig into this was most unappealing. I spent a good deal of time browsing the new air conditioner for brunnhilde post series. To my horror I do not have much documentation on the customized wiring. In one of the photos I found that I actually documented the wiring in a hardcopy log book, so I went to look for it. It was buried under a pile of paper on my desk. Slowly the memory of the installation that I did a few years ago came back to me. Next is to open the AC cover on the roof through access via the big skylight. I had a hard time undoing the 4 panhead stainless steel screws. With some struggle I managed to remove 3 of the 4. Obvious the stainless steel is the problem because of galvanic reaction of the SS screws and the normal steel molded nut receivers. The SS cause the steel molded nut to rust. This is one prime example of amateur designer at work - by Coleman's designers. Examining the wiring diagram above gave me some relief that the compressor is likely not fried because it is protected by PTC self-recovering overload current limit. I found my hand drawn schematic of my wiring installation in a notebook. 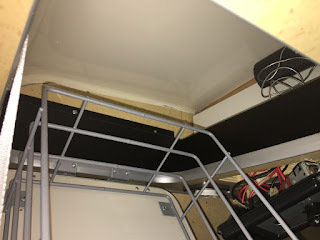 This is one of the few photos that I found very useful now that I have long since forgot much of the installation details. A quick check with a DMM found I have only the hot leg of the AC in the junction box. It appears that the neutral leg is not making it up to the rooftop air conditioner. How could it be? I was very thorough with the custom wiring and I made all the splicing with soldering. 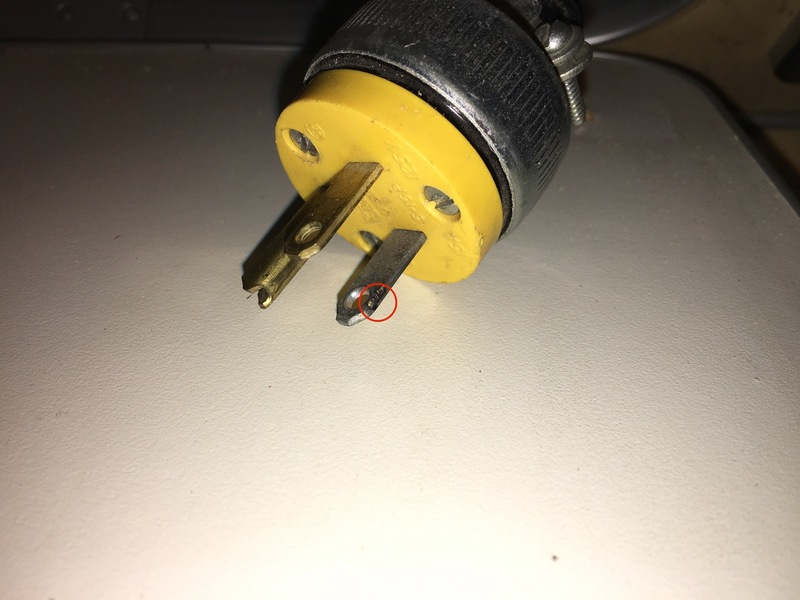 Could the heat from the overloading of the compressor melted the solder? 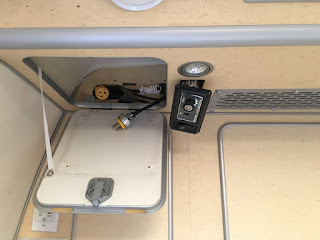 Very improbable as the wire gauges are more than adequate and over and above the extension cord that I use to connect power from the house to the van. The extension cord would have melted first. I was stumped. Very quickly I found the culprit. 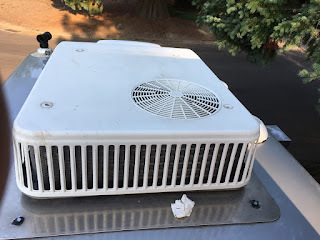 As I reseated the plug and the receptacle I could restore the air conditioner's function. I then waggle them a bit and I could see arcing within the receptacle. Did the wire inside the receptacle came loose from the screw junction? 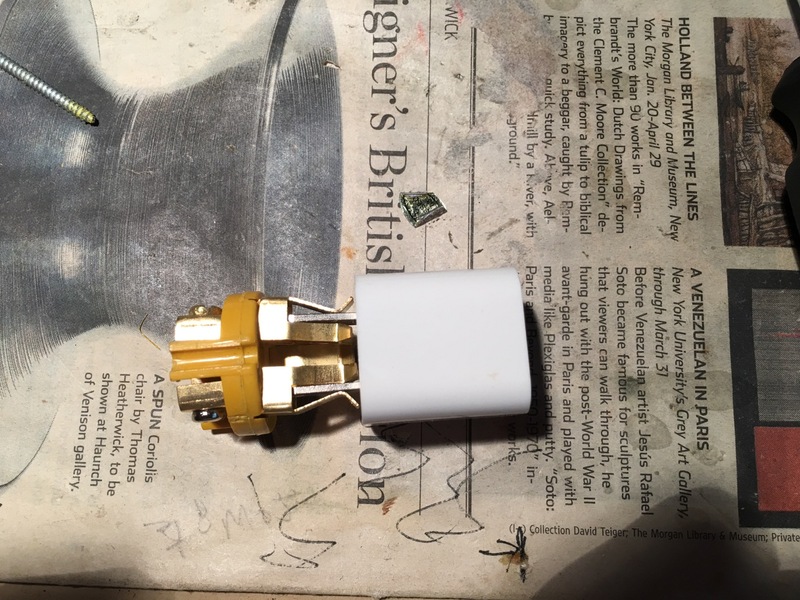 I spotted this pitting on the neutral prong of the plug, and I immediately knew the problem lies on the receptacle's spring contact. To remove the receptacle out so I could examine it proved to be too much work. Instead I went and found an unused receptacle that I bought at the same time to examine the construction. These were bought from Harborfreight. 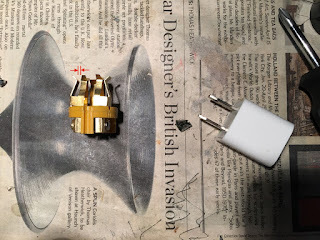 I tested the retention force of the spring contacts with a iPhone 2-prong charger and it immediately confirm the neutral contact is sloppy loose. The spring contacts are designed for North American which has vertical slots as well as for UK which has horizontal slots. Because of it there is not much room for manufacturing sloppiness which most Harborfreight products are sloppily made. By carefully adjusting the spring contacts I could make them adequately tight. I tested this on the unused receptacle. I then use the same technique on the one installed. Yes. These receptacle has UL marking on them, but that means squad as they must have submitted cherry-picked samples for test submission. So my installation design and workmanship was flawless. The problem turned out to be a poorly made AC receptacle causing poor contact on the neutral leg of the AC power supply. A problem of this nature almost never happens. Through this mishap I know the air conditioner should be quite bulletproof. 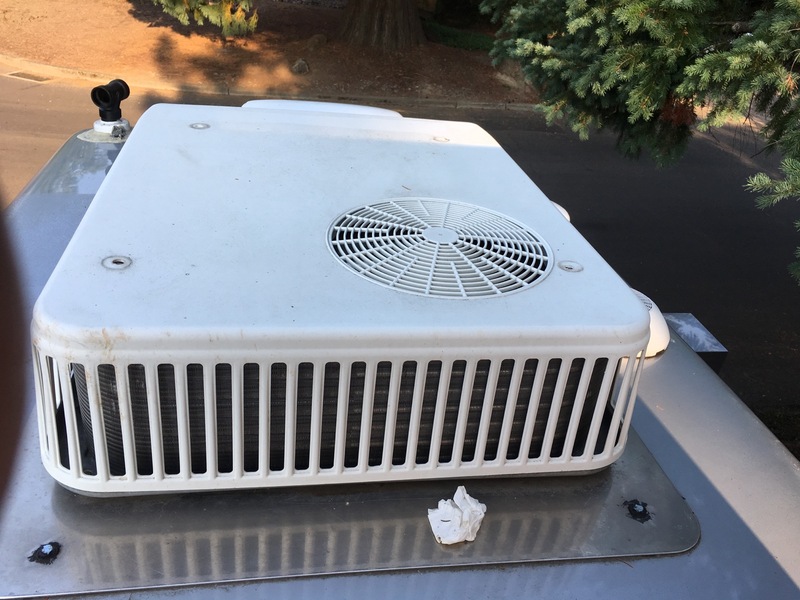 To toot my own horn, I say this is the best AC air conditioner conversion that has been done on the Westfalia NAFTA James Cook motorhome. The most challenging aspect of the project is preserving the original factory cabinetry and the roof, as well as the AC control panel. 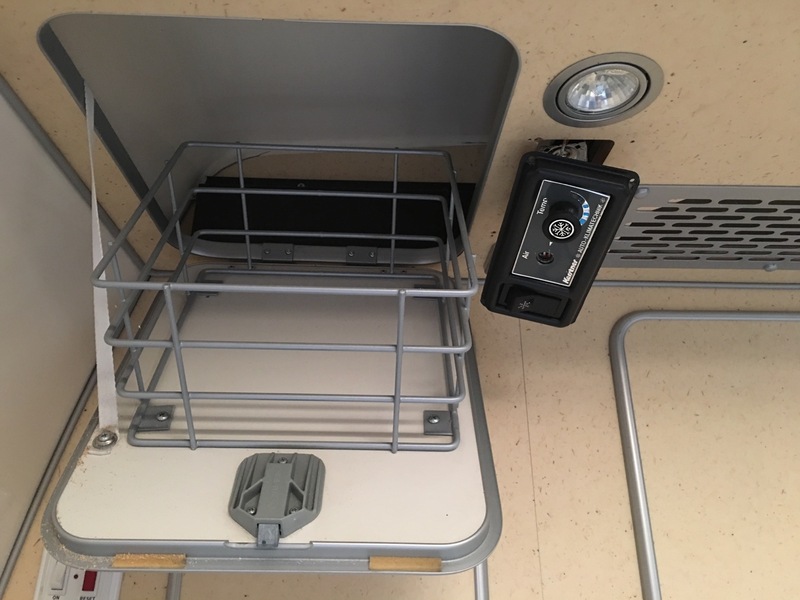 The horizontal slot is for 20 amp 110 VAC, one vertical and one horizontal. 12 ga wire required. 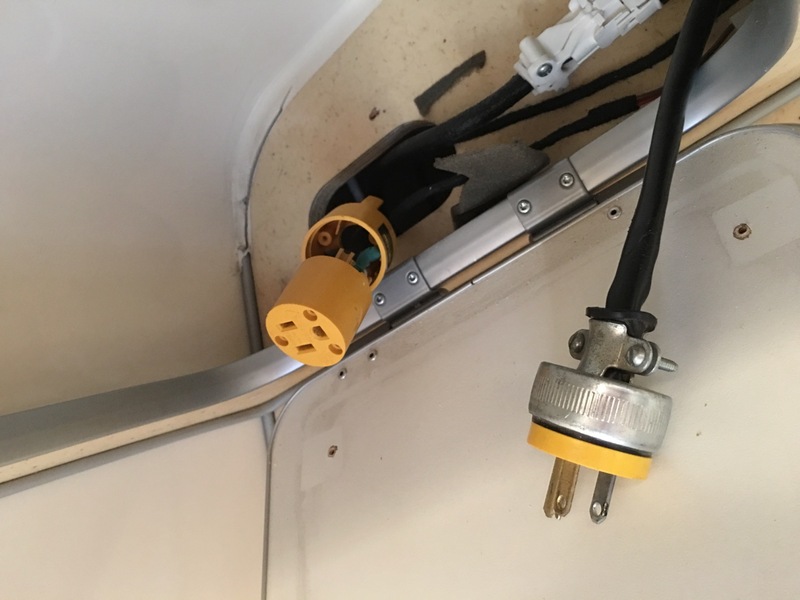 I would not use any Harbor Freight electrical fittings. Or the cheapest ones at Home Depot etc. There is usually a more expensive, but a much higher grade available. 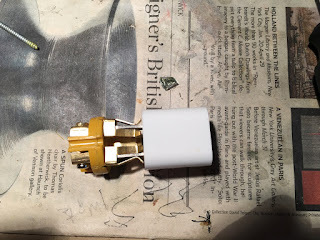 UK plugs will have 2 horizontal prongs for 240 20 amp. At the time when I bought these, the name brand ones were going for $12 while these were $3. It was very hard to argue against a 4x price difference. You will not know rare defect like this until you come across it. This very exact same one is now on Amazon for $7.97 and has 75% 5-star feedback, LOL. 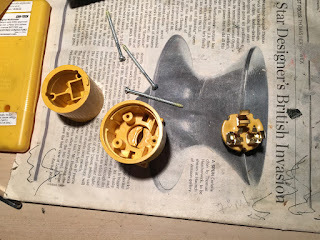 Once I adjusted the spring insert they are fine. I really enjoy your posts, especially about brunnhilde. 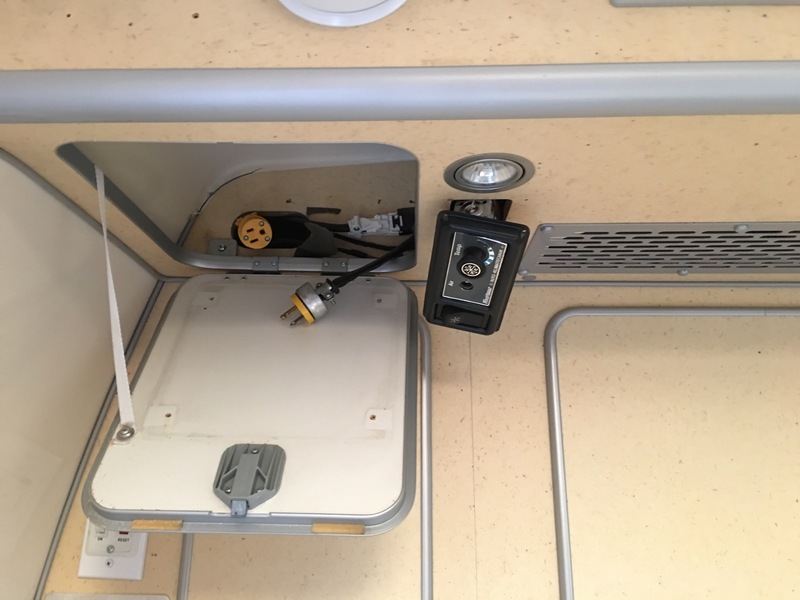 Been lurking your blog well before acquiring my sprinter westy and now considering emulating your ac installation. I am curious if you also set it up to use the honda gen on LP as well. LP gas use was one main reason I ripped out the generator and replace it with the Honda. I never want to squander a tank of LP running AC for a few hours and not able to make meal and have hot water. Refilling with petrol is much easier as one is liquid and the other compressed gas. Ahh. I was thinking it was Onan poor reliability and noise, but good points as well. 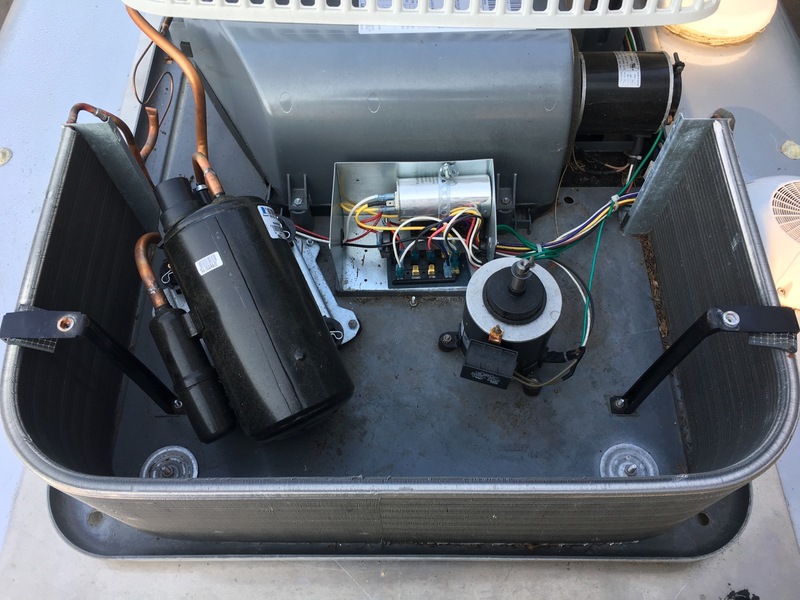 In Texas heat, the ac almost prioritized above sustenance or hygiene a couple of times.